KoliTrack allows agents to identify the geographical position of mobile users. It uses the device’s GPS function to send position status messages. Users can be tracked with centrally managed time or space intervals. 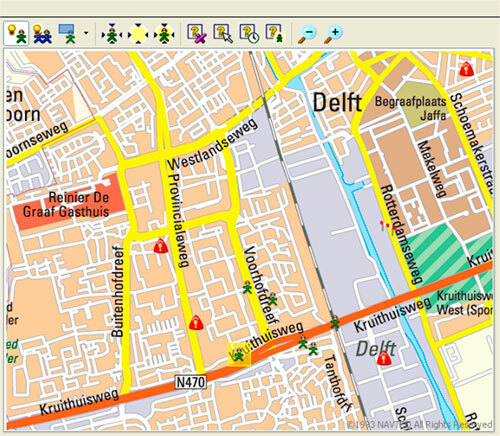 Maps can be user dependent – with different overlays – and can include customer owned maps (e.g. plant maps) integrated with commercial (e.g. navtaq or teleatlas) maps. Objects can be placed in maps and receive separate control signals (e.g. for access control). The KoliTrack and Dispatch applications are integrated for intuitive usability.